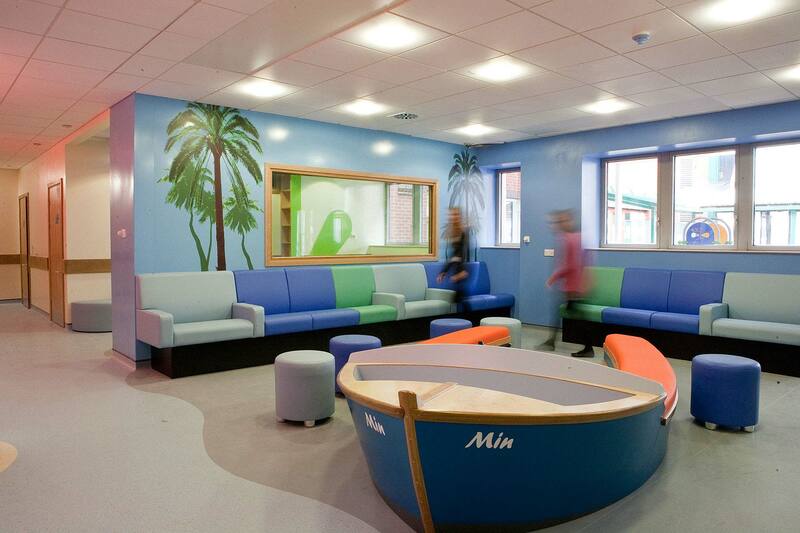 The hospital required a new dedicated ‘teenage’ waiting room and a day assessment waiting area for children. 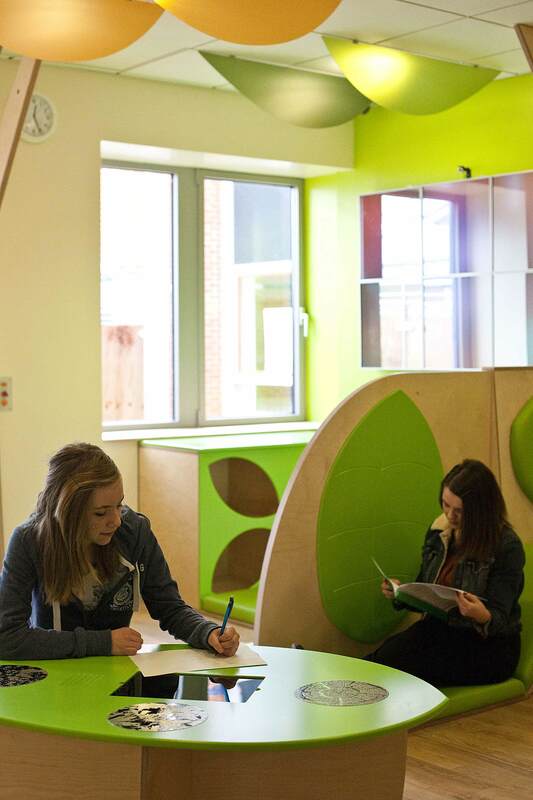 Teenagers are often left out of the design process, lumped in with smaller children’s needs which they find ‘babyish’ but an adult setting is also not appropriate. 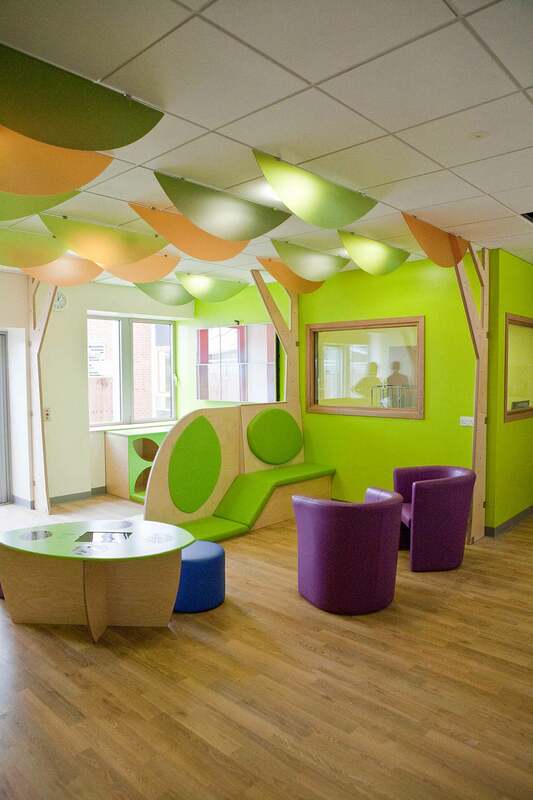 Clinical environments can be intimidating, with unusual smells, lights and noises so teenagers and children need a suitable waiting space that they find both relaxing and distracting to hopefully reduce anxiety or boredom. We started with a one day workshop, collaborating with ArtCare, the arts in health service for Salisbury NHS Foundation Trust. With their help we brought in local young people to help us build a 1:1 scale model of the waiting room, out of cardboard. 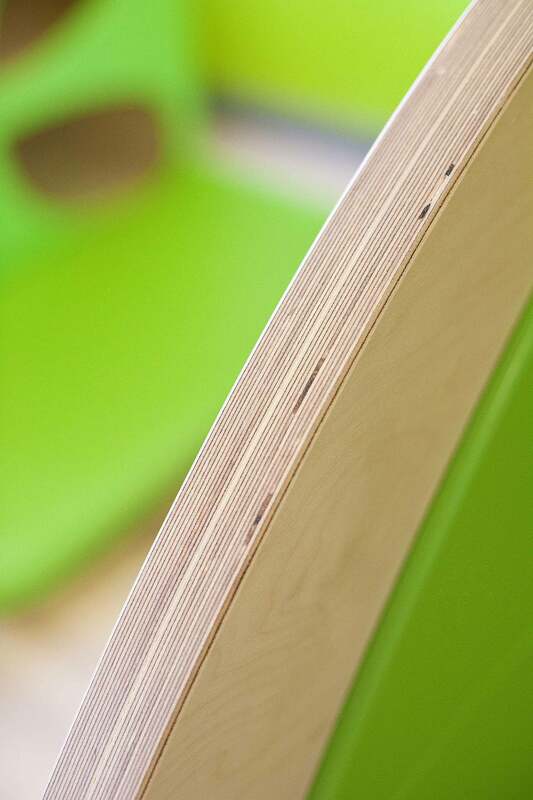 They helped us decide on the a colour palette, lighting concepts and seating. 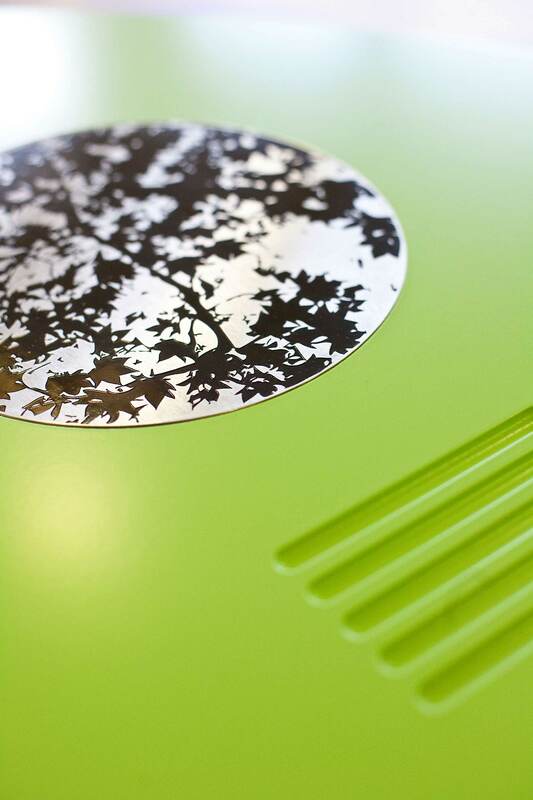 The ‘Tree Tops’ space includes a canopy of ceiling leaves. On a play table are etched plates, from which children can take rubbings. 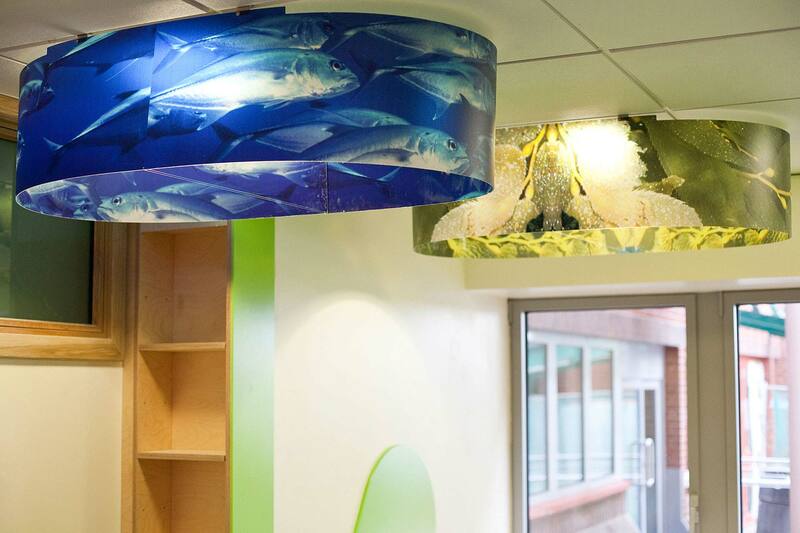 The ‘Water World‘ space contains a large wall graphic representing the local coast, poems to reassure visitors and bespoke underwater themed light shades. 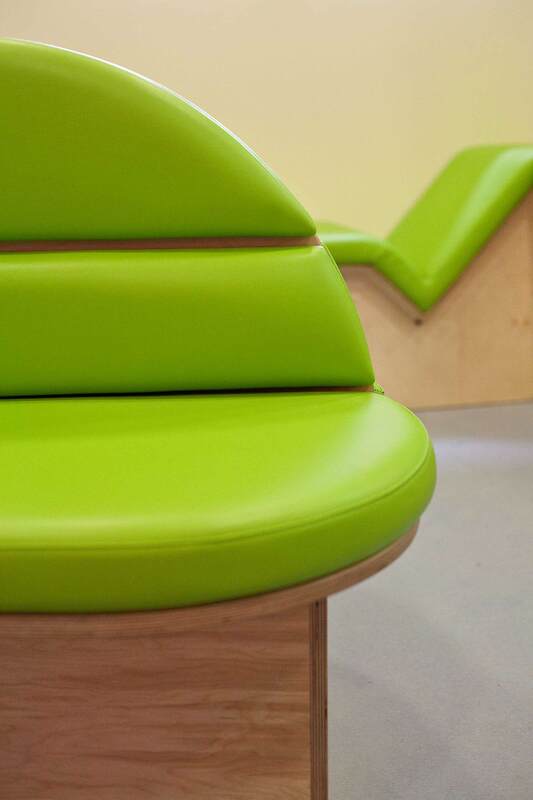 Both spaces contain incorporated brightly coloured seating, padded floor areas and soft radius edges to allow children to play safely under the supervision of their parents. 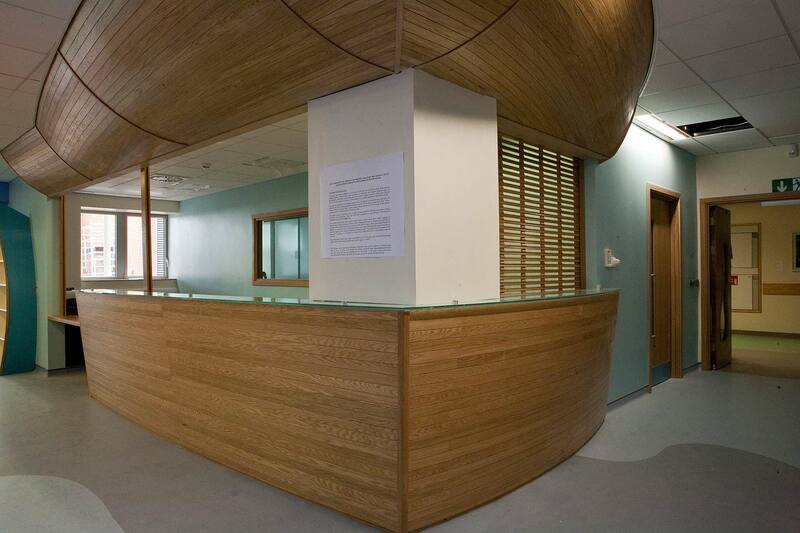 All the fixtures and fittings are compliant with NHS safety and hygiene standards. 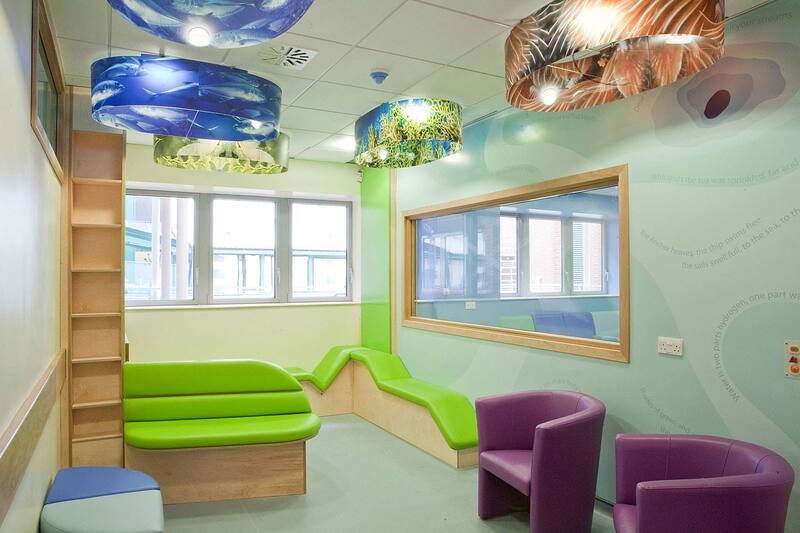 This commission was a great opportunity for us to work closely with the end user to understand the type of environments they would choose themselves to promote wellbeing and reassure others who visited the hospital. 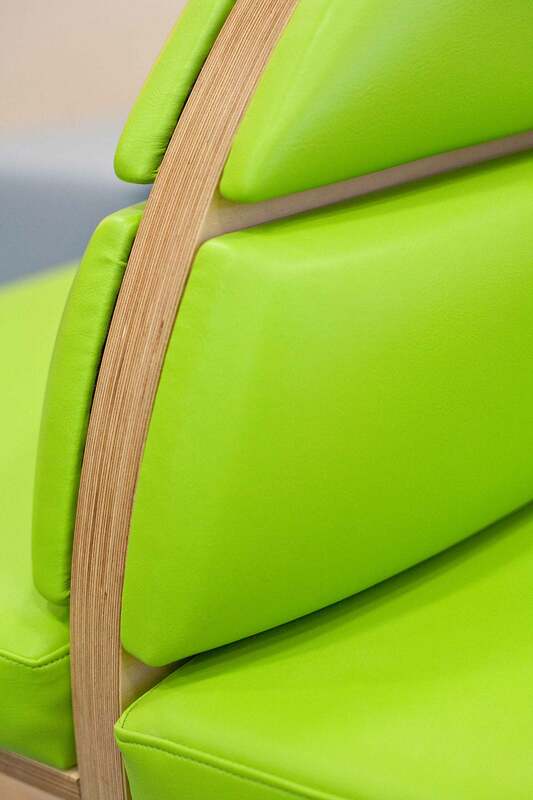 Working with children and young adults enabled us to add fun, playful and engaging seating configurations to waiting room environments. 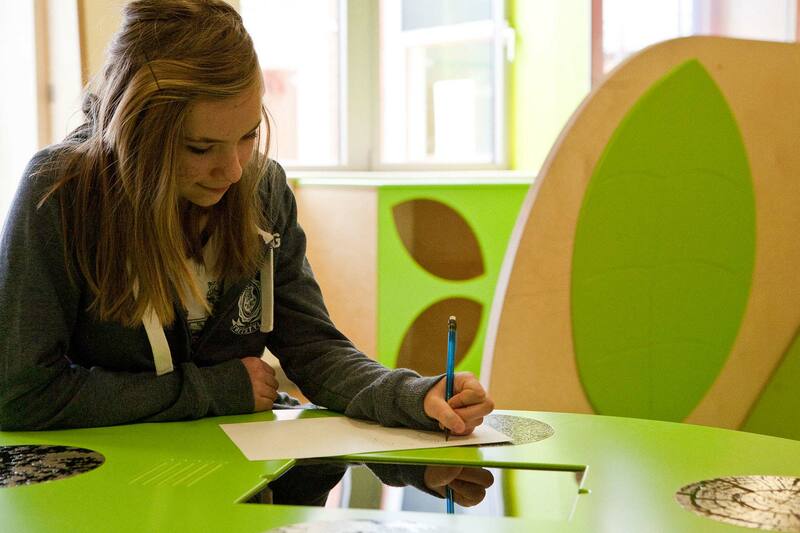 “The new unit is great for children to wait or use the playroom. Patients are less stressed. A great improvement on the old department. Best we’ve ever seen.” Parent.